This year 2014/2015, I spent my Christmas holidays with family at St. Moritz in Switzerland. We stayed at the all-inclusive Saint-Moritz Roi Soleil Club Med, perfect for families with kids. The hotel has a special club for kids of all ages. Your children are taken care of during the entire period of your stay. There is a ski school available for all levels on a daily basis as well as activities for kids are arranged in the evening. The food was delicious, with a different menu on offer every day. We also had most exclusive food like lobsters, foie gras, hot and cold, ice-cream, and fruit. Compared to Italy, the restaurants located in the mountains were poor and offered mainly fast food. In Cervinia, there were 4 different meals to choose from, inculding cava. However, such activites as poker, karaoke, etc., were fine. Generally, St. Moritz was an amazing experience. The town was full of all kinds of finest shops, inlcuding Pucci, Gucci, Cartier, Roberto Cavalli, Dolce and Gabbana, Ralph Lauren, La Perla, Chopard, Bogner, Nespresso, as well as shops selling jewellery and watches. On New Year’s Eve, the most faboulus New Year Eve's Galas were held at the famous Kempinski Hotel St. Moritz, Badrutt's Palace Hotel, and Carlton Hotel St. Moritz. Dresscode: black tie. On January 1, fireworks were set off on the lake of St. Moritz, which is an annual tradition. The slopes of St. Moritz were in good condition, despite the fact that general situation with snow left much to be desired. In the last days before the New Year celebration, the place was crowded, resulting in long queues at chairlifts. However, the situation improved during the first week of January. St. Moritz is a beautiful town surrounded by a lake. It must be lovely in the summer. It is also worth mentioning that St. Moritz is the birthplace of Snow Polo and Snow Golf. 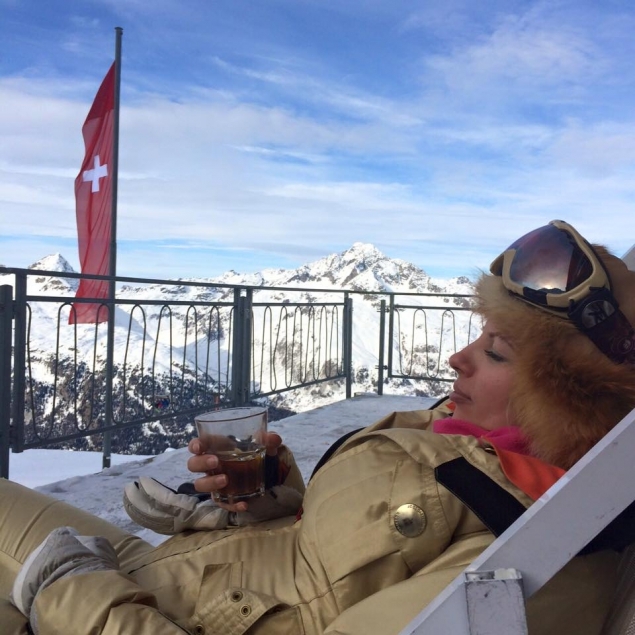 To sum up, I would like to say that St. Moritz is currently one of the top ski resorts in the world. It is quite similar to Marbella in terms of glamour and beauty. I wish you all a happy 2015!